Guaranteed to help you manage your Twitter account in 30 minutes a day or less... Build relationships and grow your business by using Twitter, the worldÂ’s fastest growing social media networking platform with an audience of more than 27 million users from all across the country. Tweet This! 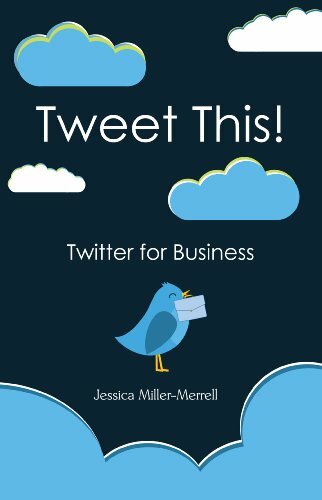 Twitter for Business offers basic instruction as well as advanced networking and marketing strategies for consultants, entrepreneurs, and small business owners. Start tweeting in minutes with: Â• Customizable marketing plans, Â• 40-plus business case studies and real-world examples, Â• an easy-to-use glossary and index, Â• Advice on legal considerations, implications, and guidelines. Achieve Twittertopia with Tweet This!